The R.K.Laros Foundation and The Industrial Archives and Library issue a Joint Press Release January 5, 2018 — R.K. Laros Foundation Inc.
BETHLEHEM, Pa. - The R. K. Laros Foundation and the Industrial Archives & Library announced today their ongoing collaboration on The Laros Oral History Project to document the history and impact of the R. K. Laros Silk Company on Lehigh Valley community from the perspective of the everyday lives of employees and their families and to make information recorded available to the public. Born in Easton, Pa. and rising from very humble origins, Mr. Laros founded the R. K. Laros Silk Company in Bethlehem in 1919, building it into a highly successful and leading American silk manufacturer. 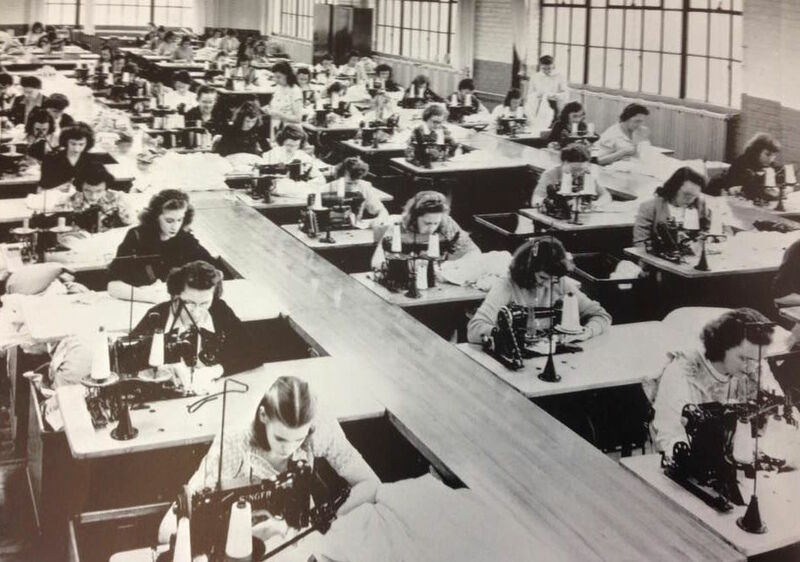 Initially focusing on the production of raw silk and then ladies’ undergarments, Laros – always the innovator – shifted production to parachutes and a pioneering synthetic blood plasma product during World War II and the Korean War years. Always living his life with the idea of “a higher personal mission,” R. K. Laros didn’t just confine his considerable talents and efforts to solely business pursuits. Believing fervently that community service was his duty, Mr. Laros gave his time and treasure to countless community causes including service on the Boards of St. Luke’s Hospital, the Bach Choir of Bethlehem, Rosemont Lutheran Church and the Bethlehem Community Chest, just to name a few. He was also a founding Board member and Chairman of the Bethlehem YMCA and served as the President of the Bethlehem Rotary Club. “The Industrial Archives & Library is delighted to partner with The R. K. Laros Foundation in a joint effort to preserve the Laros story as an important part of the industrial lore of this community,” said Stephen G. Donches, President and CEO of the Industrial Archives & Library, the production partner and repository institution for the project. “It’s a project that fits perfectly into our mission and ongoing program to create a living oral history of key American businesses and industries,” he said. Established in 2015, the Industrial Archives & Library’s mission is to collect, organize, conserve and preserve industrial records and to make them available for education and research to historians, scholars, and the public. 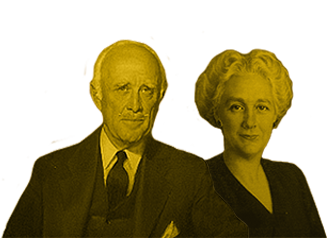 In 1952, looking to establish a far more permanent legacy of service to the Bethlehem community, R. K. Laros and his wife, Helen, founded the Laros Industries Foundation, now known as The R. K. Laros Foundation. Over the course of the past 65 years, the R. K. Laros Foundation has awarded nearly 650 grants totaling about $7.4 million to over 150 worthy causes in support the common good in the Bethlehem area. R. K. Laros’ incredible legacy of service lives on through the Foundation, but with his death in 1955 and the sale of the company in 1957, it remains the last, but significant, vestige of the once highly prominent Laros enterprise. “Through this Project, we are hoping to gain a much more thorough and richer understanding of the R. K. Laros Silk Company and fill in some of the gaps of knowledge that are widening as the Laros story begins to fade from the community’s collective memory,” said Jones Zondag. “But we need help! It’s already been 60 years since the R. K. Laros Silk Company was sold, and although we have conducted a series of interviews to date, we realize that there are fewer and fewer people out there who might have any firsthand knowledge of the Laros story. Established in 2015, the Industrial Archives & Library (IAL), is a 501(c)(3), private operating foundation located in Bethlehem, Pa., organized as an independent institution to collect, organize, conserve and preserve industrial records and to make them available for education and research to historians, scholars, and the public. Current holdings include records relating to banking, slate quarrying, coal mining, steel and shipbuilding. The IAL also houses an oral history program and offers repository services for corporate and industrial records.